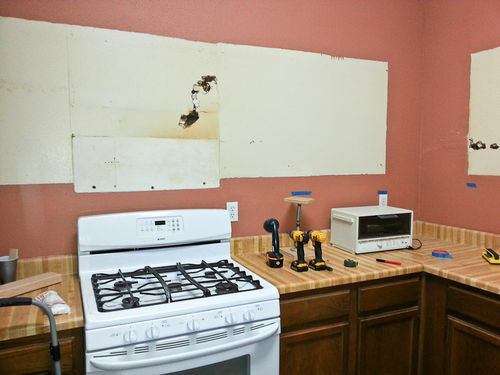 Mike and Pat's Kitchen Remodel #3: Demo Time! 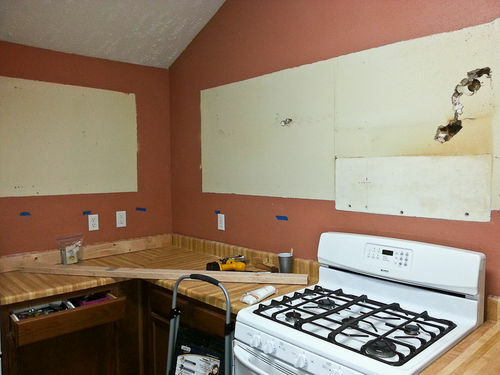 Phase 1 of the demo is complete. 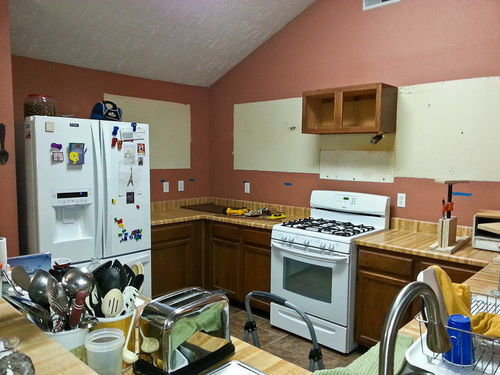 We will replace the uppers, put everything back in service, then replace the lower cabinets. We now have a clean slate. a bit holey, but clean all the same. 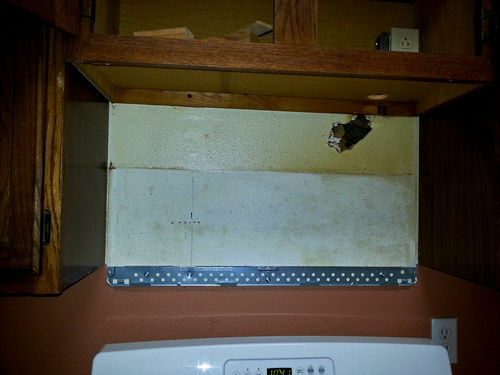 I plan to patch the holes above the stove. 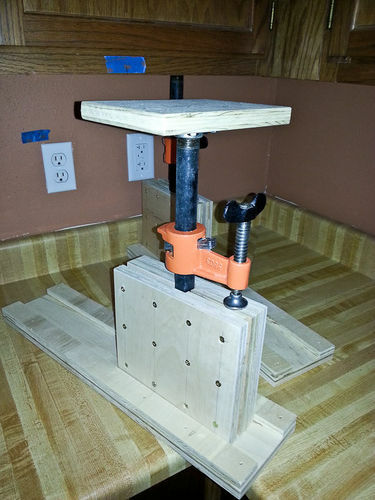 Love these cabinet jacks. I got the idea from this article. Sometimes, I just need to get out of her way! :-) She is anxious to get this job complete. 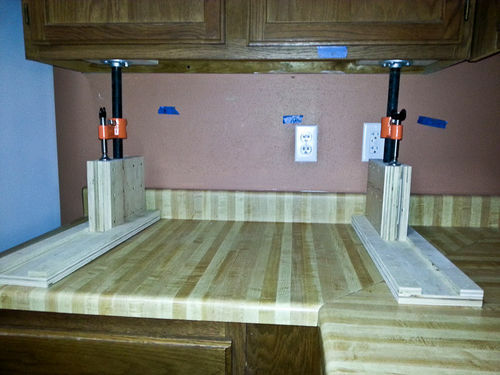 nice work thats one way to use a bar clamp. 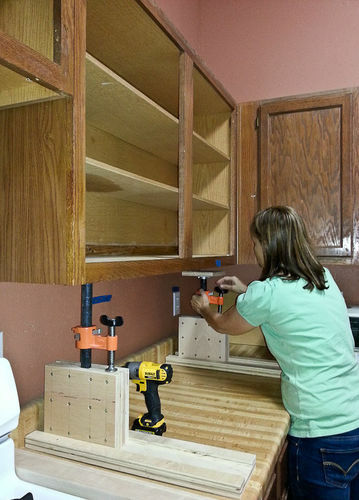 I remember that you built new cabinets in your shop, will some of these make their way to the shop too? No sir. I have run out of room. :-( My son-in-law’s mom and dad are coming to pick them up tomorrow…for their shop/craft room. Coming along nicely. The cabinet jack is gr8! Thanks. 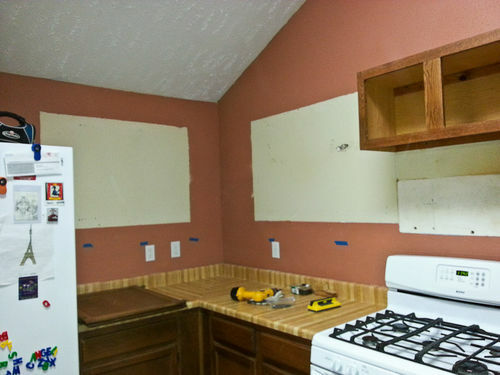 The old cabinets were picked up yesterday. 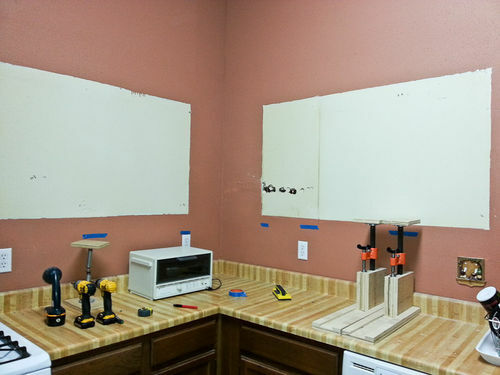 We should make good progress this coming week building face frames, carcasses, rerouting some electrical and patching the drywall. 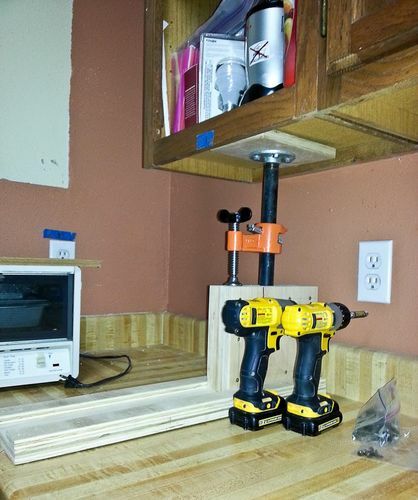 Love the cabinet jacks. Wonderful creative idea.